From time-to-time, the NWSCC selects a person who the Board believes best exemplifies the spirit of sportsmanship and giving back to the mountains that have sustained their passion. This is not merely a recognition of sports or social prowess, however, this is recognition of a living well done, of thinking of others, of being there to help and give, while at the same time enjoying life to the fullest. This small recognition is our way of saying thanks and in some cases, God speed. Get Involved: The FWSA sponsors a "man and woman of the year" award, but our personal profiles are different from this. The NWSCC wishes to honor those individuals who may not always get the recognition they deserve, either at the local or regional level. You can help by letting us know about those individuals you believe might be a candidate for our Personal Profiles page. Send your thoughts to the NWSCC board via Contactnwskiers.org. Note: These are Northwest regional awards, so please take the time to submit, no matter where your club is located within the great Northwest. 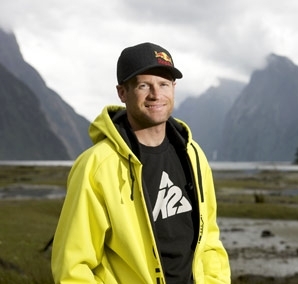 The skiing world lost a legend, and I lost a friend, this year when Shane McConkey died in a ski base accident when a ski did not release. Shane released the ski, unfortunately not with enough time to release the parachute to break his fall. In his lifetime Shane had won almost every different event you can win on skis—moguls, big mountain competitions, big-air titles, and skiercross races, before taking up ski base jumping, but he also was the first to conceive of reverse camber, reverse sidecut skis, an invention that rocked the ski industry. You’ll also find his name on a ski run at Whistler and a lift at Park City. Click here for the complete article. Fred is one of our local skiers on Mt. Hood, who has just completed his 50th year skiing, having started in 1954 at the age of 17. His first runs were taken at the rope tow at Summit, and, true to his adventurous nature, he did his first “tree skiing,” getting lost and having to hike out onto Highway 26. Fred was one of the first customers on the very first day of Mt. Hood Meadows’ grand opening in 1968. Fred suffered a tragic accident in March of 2003 while paragliding in Brazil, falling approximately 35 feet, driving his right leg into the hip joint, and breaking his pelvis. Click here for the complete article. Jean was an olympic skier who won two medals, silver and bronze, in Alpine skiing at the 1964 Innsbruck Winter Olympics! She was born and raised in Oregon and trained on Mt. Hood and Mt. Bachelor. Click here for the complete article. Two-time president of Bergfreunde Ski Club, eight-year President of NWSCC, and 2000-2003 FWSA President. NWSCC has come a long way since I first served as a representative 10 years ago, and its evolution can be attributed in great measure to this man's dedication and commitment to bringing ski club members together on a local, regional and now national level. Click here for the complete article. Billy Kidd, Olympic medallist and Hall of Famer, presented the 2001 Steamboat Spring/Steamboat grand Western Ski Heritage award to Chris Miller at the FWSA Annual Meeting in Reno. Click here for the complete article. As a member of a local Portland Ski Club, Schnee Vogeli, Bill has plenty of buddies who have been trying to keep up with him for over twenty years. Click here for the complete article. Duane Bridge, long time Cascade Ski Club member and currently the Chairman of the Board of Trustees of the Club, is the nominee of the fourth annual SGMA HEROES Award for the State of Oregon for his lengthy and devoted work with the Mighty Mites ski racing program at Mt. Hood. Click here for the complete article.